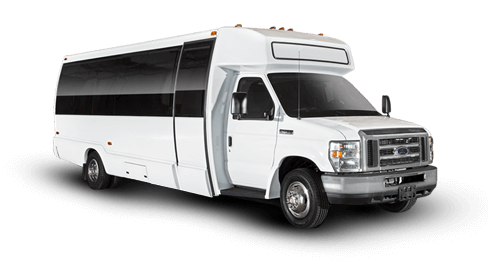 Finding the right charter bus or minibus is simple when you partner with National Charter Bus. Our reservation specialists use your unique trip itinerary and number of passengers to pair you with the motorcoach that’s perfect for the occasion. Read on for more information about the types of buses we charter, or call us today at 1-844-755-0510​ for a free estimate! Whether you’re traveling across the country or across town, Setra buses will get you there safely and in style. Since they come in a variety of makes and models, we’ll help you choose the one that’s best for your group’s unique needs. 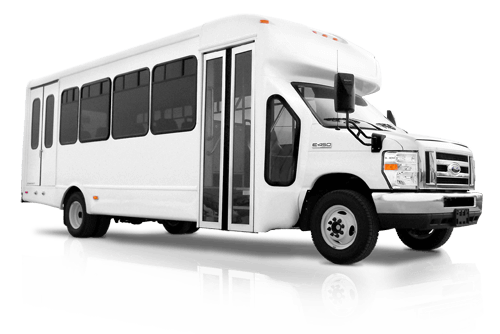 Travel with up to 56 passengers in an MCI bus rental by National Charter Bus. Thanks to our extensive network of motorcoaches, we have access to a wide array of amenity options like WiFi, restrooms, and extra luggage space. Ride to your next corporate conference, sports tournament, or group outing in a sleek Van Hool bus. These buses are versatile for every occasion and destination type on your itinerary. As one of the most compact buses we charter, the 18-passenger minibus will allow your group to move in and out of traffic with ease, especially in busy cities. You can relax on your minibus while your driver handles all navigation and parking. With its compact design and modern interiors, the 20-passenger minibus is perfect for weddings and corporate events. Shuttle guests and attendees back and forth from your venue so everyone arrives on time. For smaller groups, the 25-passenger minibus has ample room and many of the same premium amenities. Choose from WiFi, air conditioning, and reclining seats when you book your minibus today.